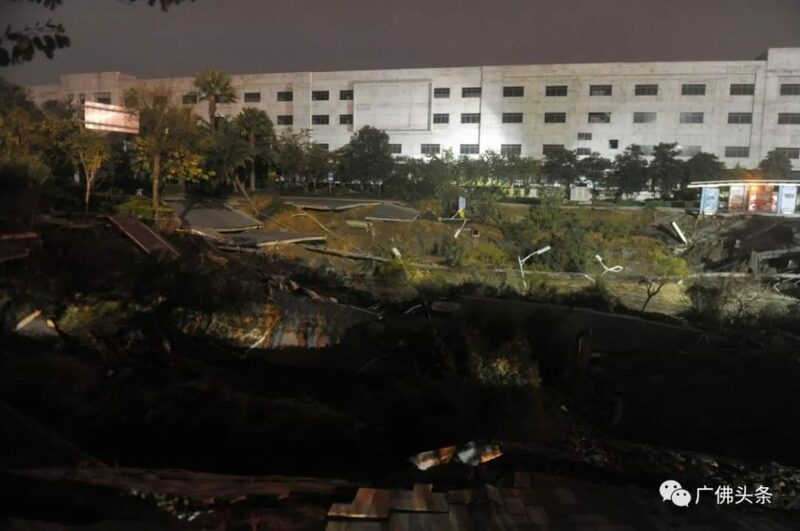 In China, eight people have died and three more are missing after a major road collapsed on a subway construction site in Guangdong province, killing at least 8 workers and with 3 still missing. 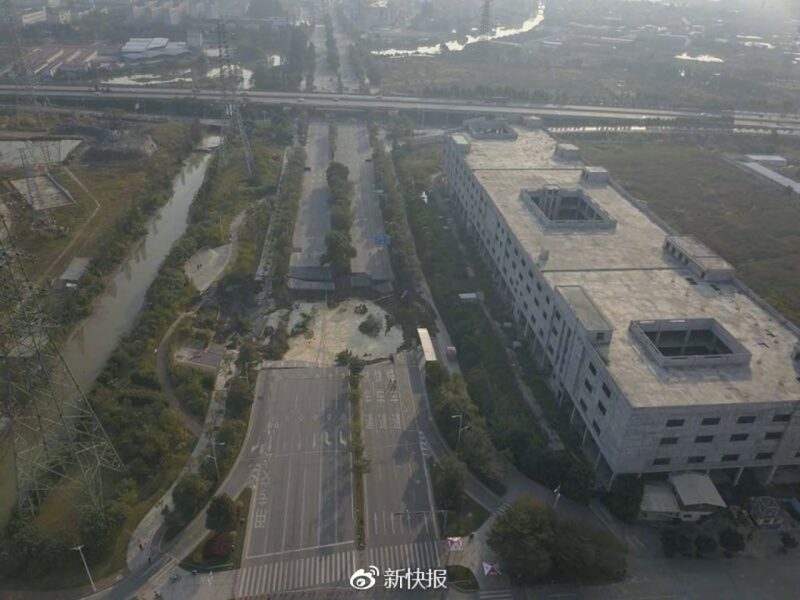 Nine workers were rescued from the rubble.The video shows a gaping hole along a major road with at least eight car lanes. 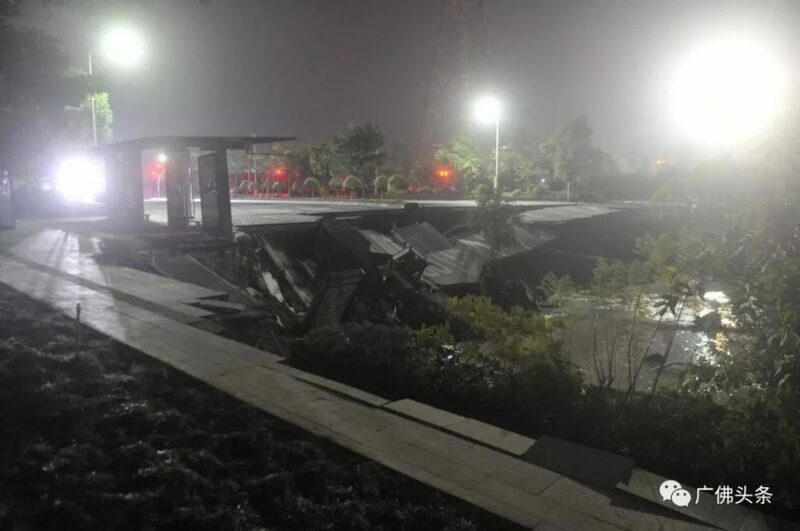 Eight people have died and three more are missing after a major road collapsed on a subway construction site in Guangdong province, China. The giant sinkhole opened up at a subway construction site in Foshan, China. 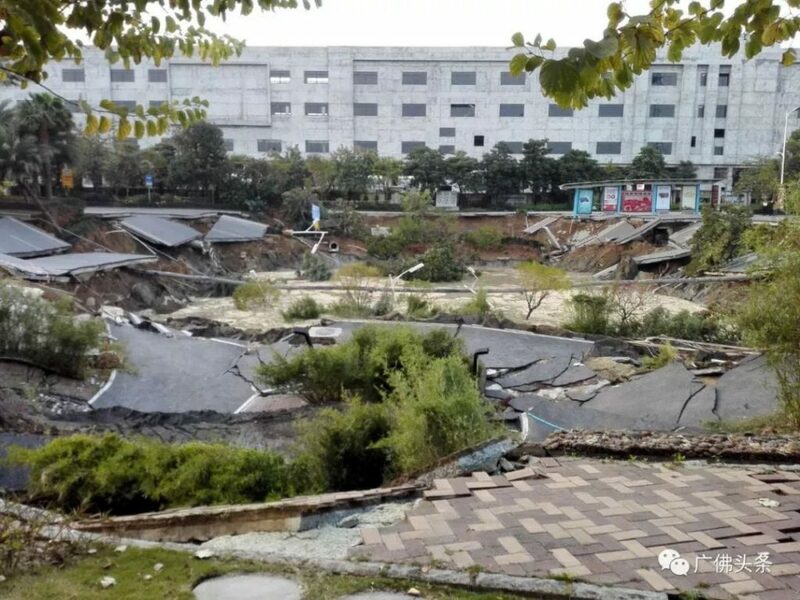 Nine workers were rescued from the rubble of this mysterious road collapse in Foshan, China. 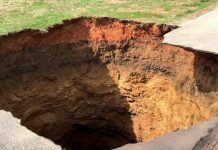 Video and pictures show a gaping hole that swallowed an entire eight car lanes road. 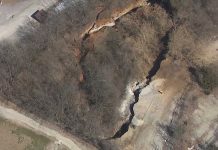 The unexplained road collapse took place on February 7, 2018 at 8:40 pm, local time. It’s unclear what caused the deadly collapse. An investigation is underway into the cause of the cave-in at the Foshan construction site. Subway construction means the Reptilian secret underground bases construction. Government (=reptilian entities) in any country use people’s tax money secretly to build secret underground bases, at the same time, build subway, tunnels, highways or whatever infrastructures. This destruction was the result of the cleaning up the reptilian secret bases and passages by Galactic Federation of Light. 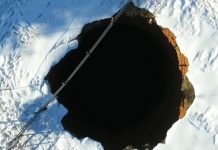 It does not look like just a sink hole. It is obvious that some kind of weapon (probably direct weapon) hit the place above the sky (from UFO). 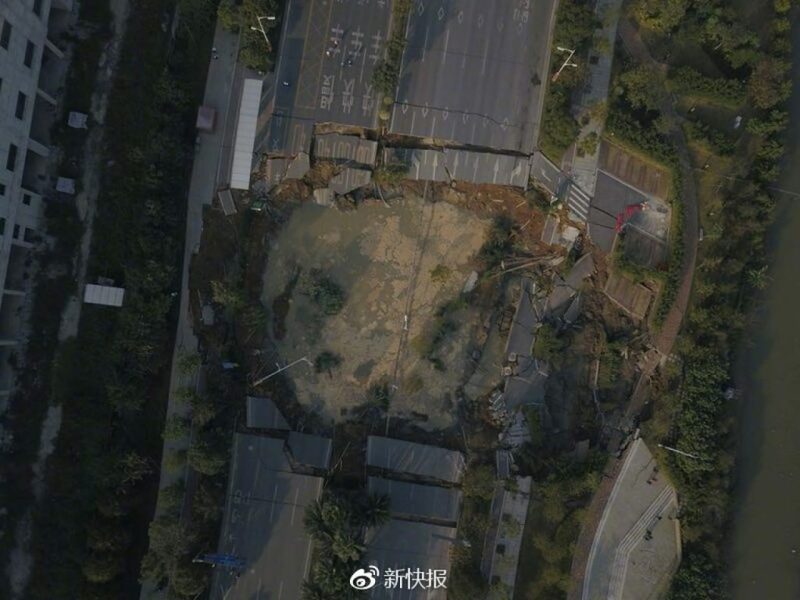 You can see the round shape around destroyed area. Even in New York City, there are several unused subway stations where are connected to “their” secret underground bases. The most famous one is the station “City Hall”. Now you know City Hall is the Reptilian Hall. Yes, they are managing human cattle from City Hall! If you like to know more info, watch the movie “They Live”.